One of the world's most influential rock bands was formed in London 1966. Jimi Marshall Hendrix, who was struggling for recognition in the USA, came to England at the invitation of Chas Chandler in September 1966. Chas became his manager and formed a backing band in the style of "Cream" with bassist Noel Redding and drummer Mitch Mitchell of jazz group "Georgie Fame and the Blue Flames". 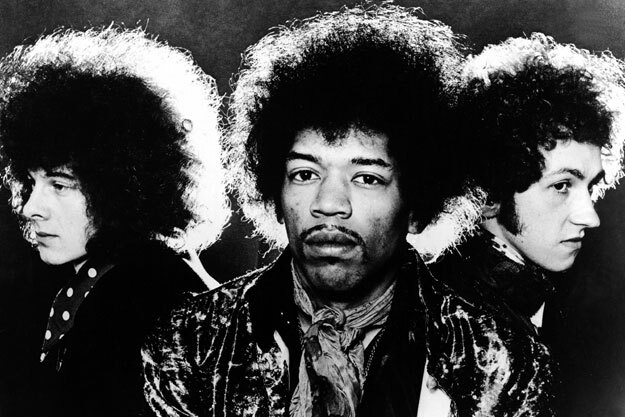 Within months, Jimi Hendrix Experience had earned three UK top ten hits: "Hey Joe", "Purple Haze", and "The Wind Cries Mary".